The first woman at 10 Downing St. changed Britain and shaped the age of market-driven globalization. 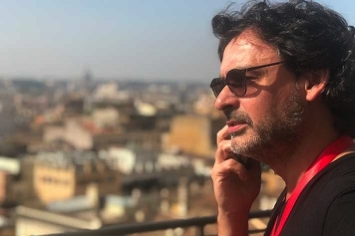 PASCAL VERROUST, a veteran producer and writer who for the past 30 years has created many successful and visionary films for French and international cinema and television. 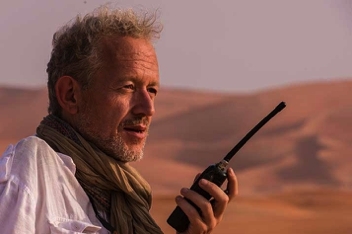 Before he co-produced THE SIEGE OF MECCA, Pascal with his new Paris-based production company K2 PRODUCTIONS created films such as "L'homme sur les quais" directed by Raoul Peck (Official Competition, Cannes Film Festival); "Karnaval" by Thomas Vincent (Best First Film Prize, Berlin Int'l Film Festival); "Rien à faire" by Marion Vernoux (official Competition, Venice Film Festival); "Cong Binh, the lost fighters of Vietnam" by Lam Lé. Pascal Verroust is a member of the CNC and of the Labour Union of French Independent Producers. From Deng Xiaoping's economic opening of China to Margaret Thatcher’s liberal market politics, from Ayatollah Khomeini’s Islamic revolution to Pope John Paul's call to Christian resistance against communism during is visit to Poland, from the fatal Soviet invasion of Afghanistan to the Second Oil Shock and the nuclear accident at the Three Mile Island power plant, and from the very first report about Climate Change to the the first wave of refugees that arrived in Europe with the Boat People - all over the world, 1979 brought pivotal changes in religion, economics and politics that define our lives until today. With this film, directors-producers DIRK VAN DEN BERG and PASCAL VERROUST will narrate the untold story of how 1979 became THE BIG BANG OF THE PRESENT.